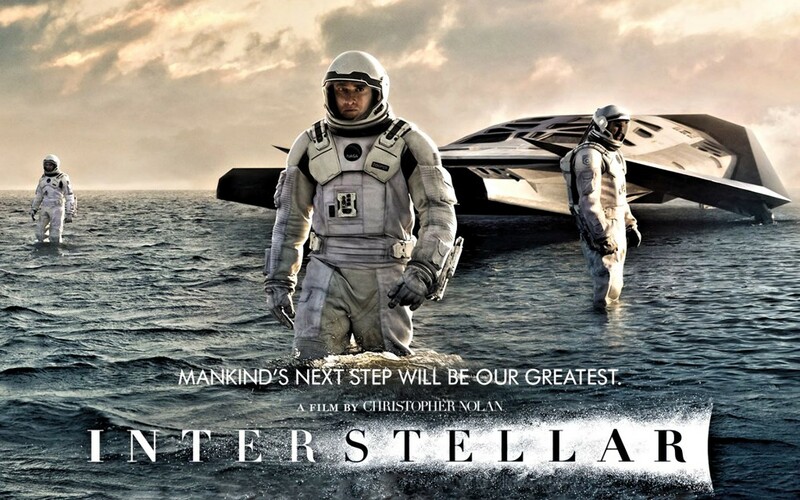 We start this new series with Interstellar by Christopher Nolan. I did not expect to watch this movie. Actually you must know that I was somewhat apprehensive. To me this movie was a direct inspiration from The Songs of Distant Earth by Arthur C. Clarke. This book stirred me so hard. To the point it has partly shaped my vision of life, and of the place we have here. I felt that no movie could ever render this. And I (deeply) feared to see one of my favorite science fiction novel trampled on by yet another gargantuan sf blockbuster overflowing with CGI in every possible direction with a bunch of heroes saving the world (again) because you know that’s just what heroes are for anyway. Well I must admit, this is what I just saw, yet I was agreeably surprised. And the emotional impact that built all along the movie far outreached my expectations. I found myself multiple times begging for the storyline not to slip into one direction or another, because I felt that all this tension would deflate grotesquely like a dismaying soufflé, only to find minutes later that it was still ok. The movie itself is not without fails. It is extremely ambitious. And as someone would naturally expect, it misses the point from time to time. It sometimes drew itself too far into the drama to the point that the story was loosing its legitimacy. Some scenes deserved to be more explored, and the fast paced rhythm contrasted too much with the heavy atmosphere of interstellar travel through the vastness and solitude of space combined to the ultimate hope of humanity that the movie tried to convey. These two themes go very well together. But they must be treated with due respect and certainly not as a way to blow up things and acting as a show-off. Best acting goes for Anne Hathaway (Brand). On the other hand Cooper, Matthew McConaughey’s personnage, sometimes lacks conviction that would benefit to some key parts of the movie. Dialogues are somewhat clunky, and that certainly didn’t help. There are multiple unassuming nods to other sf movies. 2001 being one of them though both movies are still far apart. I was also pleased to see another nod to Arthur C. Clarke, The Garden of Rama. In conclusion, my impression is that this movie could have been something awfully good. But it is not bad either. I’d even go to say that it is good up to very good. but rather a clue of commonness. In a preceding article (ChangeLog), I said that I might post more on different subjects than what I usually post. So as part of this perpetual opening initiative, I will soon start a new series called “Today’s movie“. In which I tell you about a movie I am about to watch, what I thought of it (for what it’s worth), why you should drop everything you are doing right now to see it, or not. You may like this, or not. And you may also flame in the comments if you don’t agree. Well I hope you’ll like it though. As for me it will be an opportunity to revisit movies I didn’t see in a while. I recently installed a new Debian guest on a FreeBSD host with VirtualBox. On this VM I need to be able to play/record sound from my laptop (Skype). To do so I configure the guest with an Intel HDA soundcard using the OSS audio driver. However I want to use the internal mic (/dev/dsp1.0) which is different than the default unit (/dev/dsp). So I had basically two options. Either I could record my voice but could not hear anything or I could hear everything but could not record my voice. DACDev: Path to the DAC (output/playback) device. ADCDev: Path to the ADC (input/record) device. Note if when starting the VM you receive the message The attached driver configuration is missing the 'Driver' attribute (VERR_PDM_CFG_MISSING_DRIVER_NAME). This is probably because the sound device you selected for this VM is not the same as specified in the extra data. The above example is for Intel HD Audio (hda). If you need ICH AC97, replace hda by ichac97 in the example above. I use FreeBSD 11-CURRENT on a Thinkpad X201 laptop. I said in a preceding post (Hello FreeBSD!) that although the Intel KMS driver works, I did not have access to the ttys and also that suspend and resume did not work. This is no longer the case! I rebuiIt world two days ago (r274088) and I now have access to the ttys, and suspend/resume also works without any apparent problem (thanks to KMS/VT (NewCons) I guess). FreeBSD 11 is going to be great!